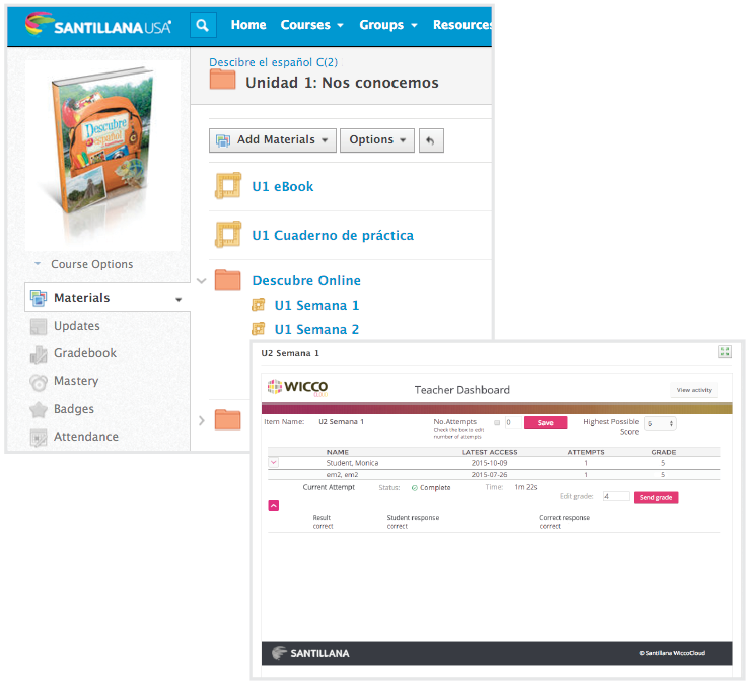 The four main components of the Descubre el español con Santillana program are the Interactive Student eBook, the Cuaderno de práctica, the Descubre Online Activities and Biblioteca temática. The Interactive Student eBook is a multimedia version of the print textbook. 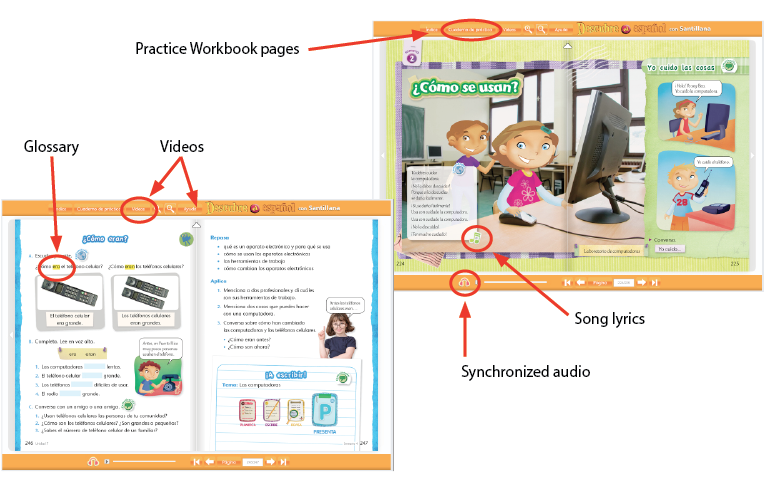 It has easy navigation, synchronized audio, videos, maps, glossary, song lyrics and Practice Workbook pages at point-of-use. Within the Materials page, it is divided by unit to facilitate the loading speed and ease of use. Click on the Materials tab, then open the Unit 2 folder. Take a look at the Interactive Student eBook. 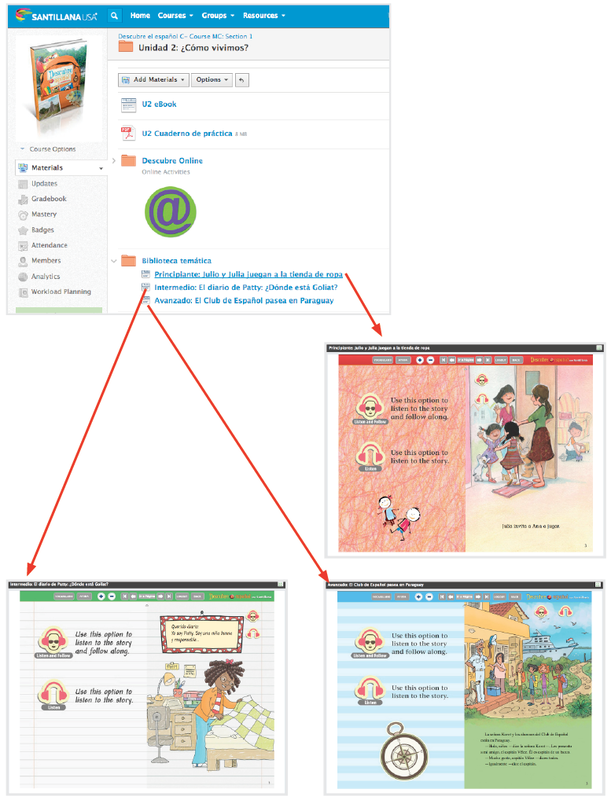 The Cuaderno de práctica (Practice Book) is a downloadable document in PDF format with enabled form format (fillable). Descubre Online games and activities are automatically scored and allow unlimited attempts. The Gradebook registers the grade after each attempt. 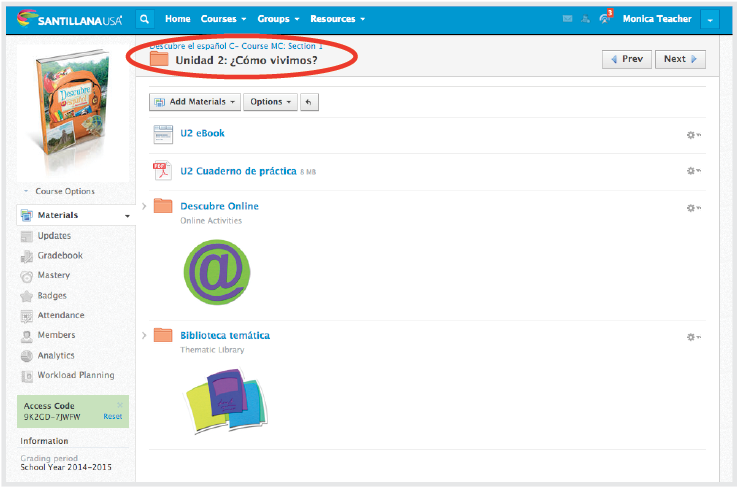 Teachers can review a student’s attempts by clicking on the activity name and viewing the Teacher Dashboard. IMPORTANT: Please note that each activity name is meant to keep the activities in relative order when using the Bulk Editing function. Without this, all activities for the entire course are listed in alphabetical order in the Gradebook and the Bulk Edit screen. 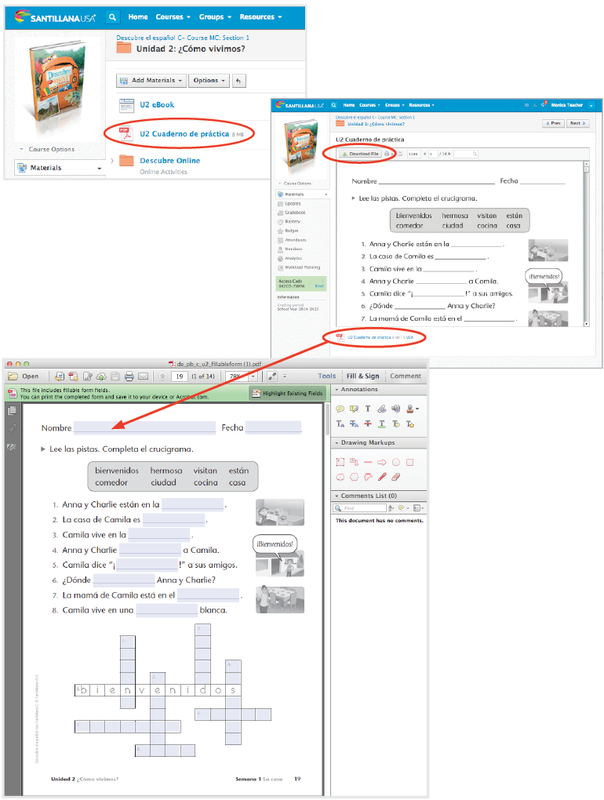 The Biblioteca temática (Thematic Library Readers) have three eBooks per unit with synchronized audio to address the needs of students at beginning, intermediate and advanced language proficiency levels.